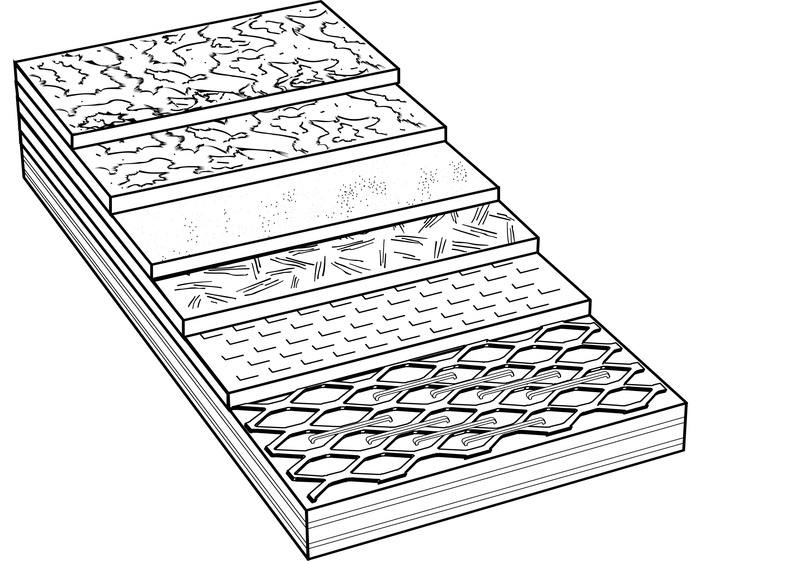 In the last blog entry, we spoke of the primary layer of the deck waterproofing process. Proper metal flashing installation is key to insuring a dry deck. Securing the perimeter of the deck is done through snugly fitted metalwork. The same is true for our next level: deck waterproofing metal lathe. Deck Waterproofing Metal Lathe. Proper metal work extends to the second level of the waterproofing process. We at Prestige Deck Coating staple 2.5 lb diamond shaped bonderized lathe to the subfloor with 24 staples per square foot. This allows the lathe to be secured properly and also to make sure any bowing action is eradicated. We assure that the lathe layer is flat, stapled down and ready for the bonding action in the first cementitious layer. adhered to the plywood subfloor on top of the flashing. This lathe is stapled over the flashing for three main reasons. One, the flashing is doubly anchored to the subfloor to prevent lifting, which could allow water into the cracks. 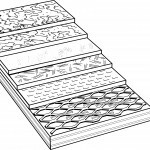 Two, the lathe layer covers the entire deck surface to achieve full coverage of bonding when the cement layer is applied. For the whole deck to be waterproofed, all corners and edges need to have the cement applied in total. This lays the foundation for the fiberglass layer, the key step in complete deck foundations waterproofing. Three, the strength and flexibility of the final project is meant to extend across your whole deck. Deck waterproofing metal lathe facilitates this flexible strength quotient. The lathe layer is key in securing the perimeter and strengthening the waterproofing capability of your deck. 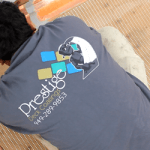 Prestige Deck Coating and Waterproofing in Orange County Ca is committed to presenting you with a watertight deck. Our 5 layer waterproofing system will get the job done right the first time. Beginning with securing your perimeter, we install and seal bonderized metal flashing that is caulking appropriately. Next, we staple down our diamond shaped 2.5 lb deck waterproofing metal lathe anchoring it to the subfloor and laying mediatorial level between subfloor and first cement layer. In the future blog entries, we will discuss this third layer of deck waterproofing foundations success: polymer modified concrete. With Prestige Deck Coating and Waterproofing, you can welcome the rain! Damp Deck? Don’t Be Scared!